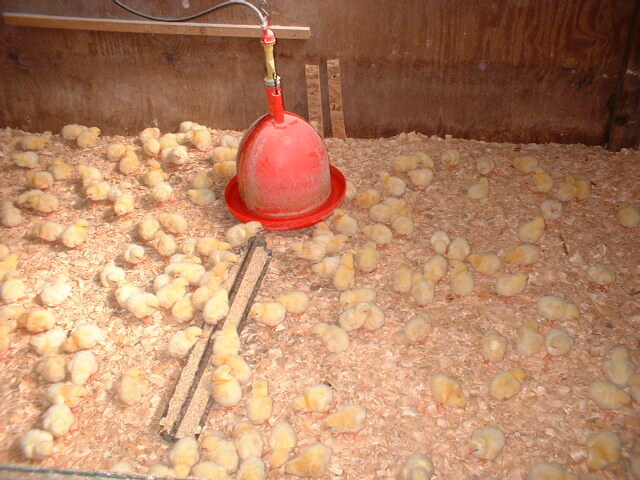 Our cornish cross meat chickens are raised in chicken tractors. 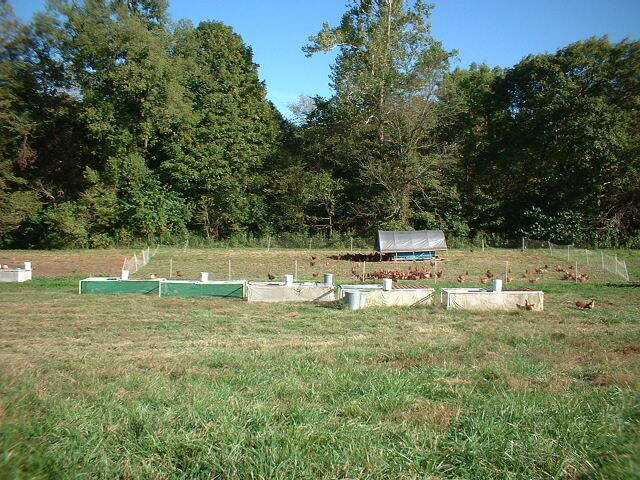 These floorless pens allow us to move our chickens to fresh pasture twice daily. Here they have access to all the fresh air, sunshine, grass, and the bugs they like (unlike the usual confinement system that they are normally raised in). 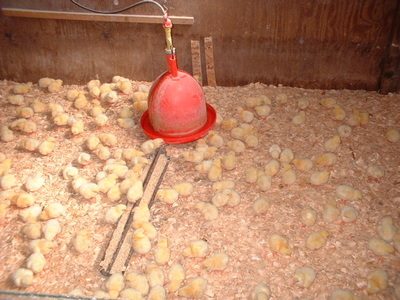 Their diet is supplemented with a specially mixed feed of non-GMO grains, proibotics, organic minerals and vitamins. If it is in the feed, it is in the food. 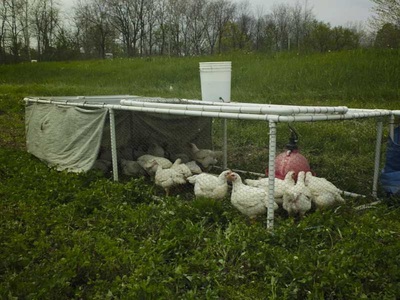 Even though our poultry products are not certified organic, we go to great lengths to create a superior eating experience. You'll have to try them for yourself to believe the difference in taste and quality. 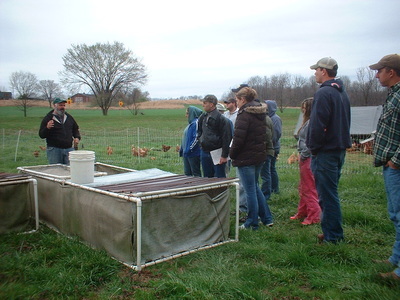 A few advantages to pastured poultry are: no hormones, no antibiotics, no chlorine baths, no irradiation, raised on clean air and sunshine, fresh daily salad bar, promotes family farming, and reconnects the customer and the farmer. All processing is done on our farm where cleanliness and quality (not speed and quantity) are the top priority. 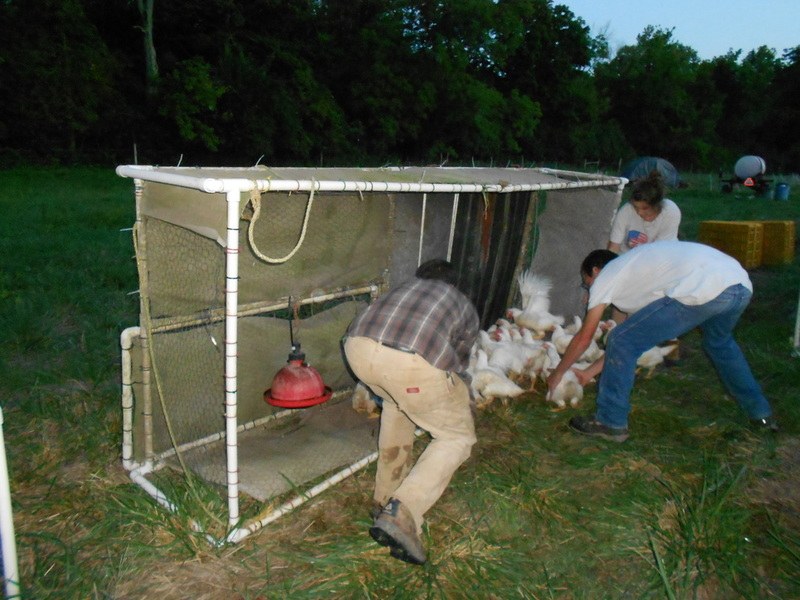 We dress our chickens one Monday each month, May through October. 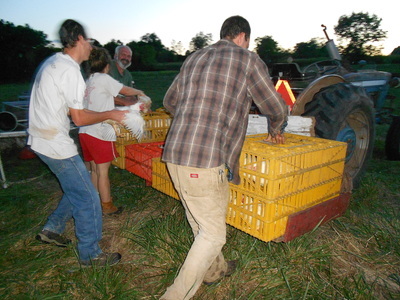 Chickens are pre-ordered and are picked up at our farm. 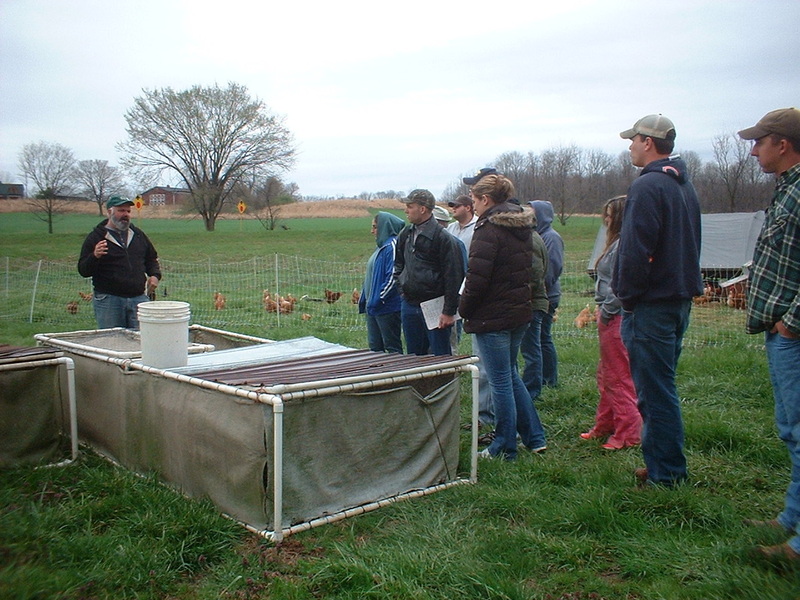 Order forms go out with our yearly newsletter in April. Make sure to get your order in early and sign up for our mailing list!